View of Bamburgh Castle with storm-tossed waves in the foreground. 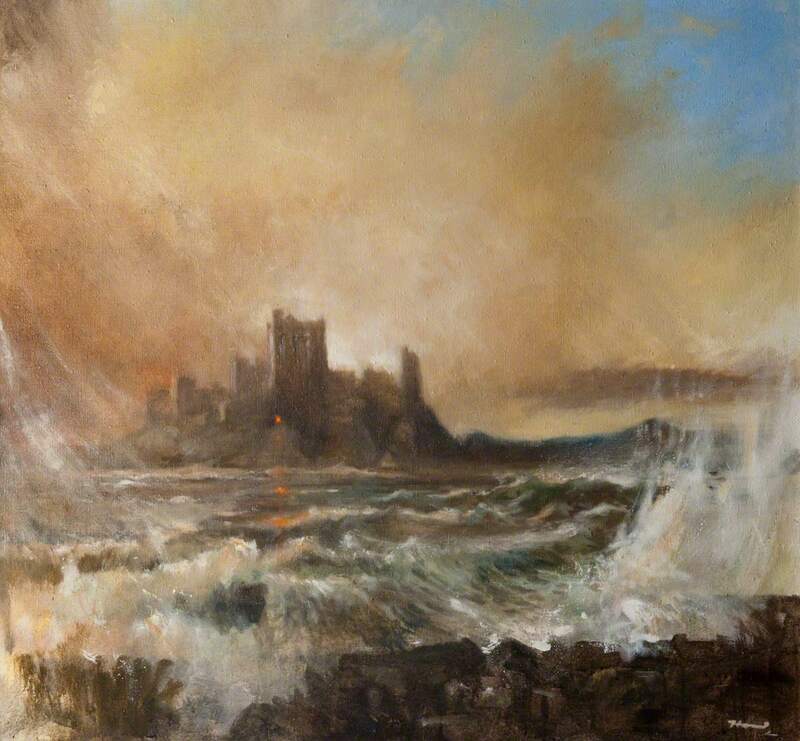 Hood; Ernest Burnett (1932-1988); Artist, “Bamburgh Castle,” Heritage, accessed April 23, 2019, https://heritage.rcpsg.ac.uk/items/show/353. 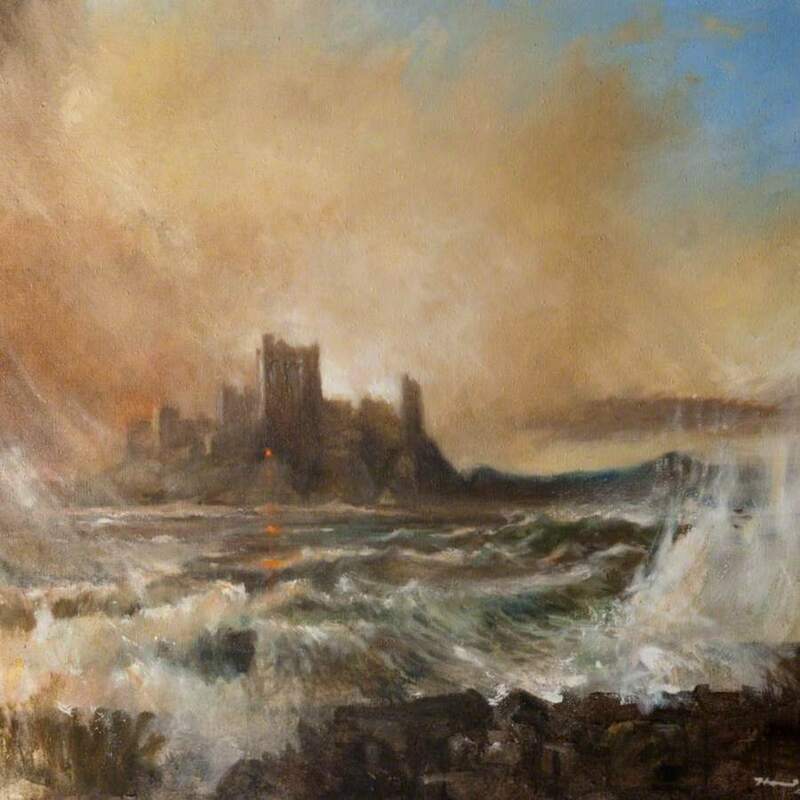 Description: View of Bamburgh Castle with storm-tossed waves in the foreground.